Welcome to Vitality Massage Therapy. We are a small massage clinic offering a range of Registered Massage Therapy Services by appointment only. Located in Downtown Ottawa, we are open 7 days a week for your convenience. All of our therapists are registered with the College of Massage Therapists of Ontario (CMTO). Kim studied Massage Therapy at Sir Sandford Fleming College of Applied Arts and Technology in Peterborough, Ontario, where she spent added time taking extra myofascial and sports injury classes prior to graduating in 2003. She started her career in Oshawa, Ontario before returning to her hometown of Ottawa in 2006. After working in a variety of different clinic settings, including offices with other health care practitioners and spa services, Kim opened Vitality Massage Therapy in 2010. Over the last 13 years, Kim has focused on deep tissue, repetitive strain, post-surgical rehabilitation therapy, motor vehicle accident treatment, postural and muscle imbalance, but also offers Hot Stone Massage, heated hands and Indie head massage. Kim has a great passion for her profession, which is reflected in her treatments. 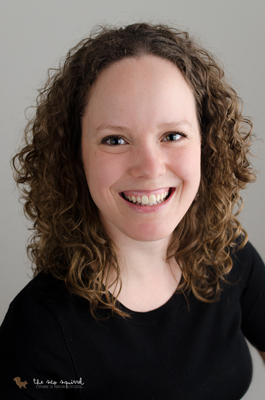 Deirdre has been a member of the College of Massage Therapists of Ontario since 2007. Prior to her Massage Therapy training, Deirdre earned a Bachelor of Science Honours degree from the University of Guelph. Deirdre has worked in a variety of settings including clinics with other health care professionals and spa services, and has been working at Vitality Massage Therapy for six years. She enjoys the challenge of treating the diverse Ottawa community and is committed to helping clients increase their levels of health and well-being. She is experienced at treating muscle and posture imbalances, repetitive strain injuries, post-injury/surgery rehabilitation and chronic conditions. 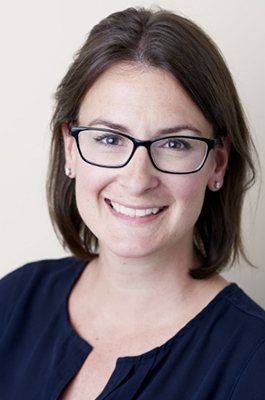 Deirdre has always had a natural passion for anatomy, physiology and body mechanics, which guides her treatments and is reflected in the excellent care she provides her clients. The most popular style of massage in North America, Swedish Massage Therapy can be both relaxing and therapeutic. It involves using a series of techniques to massage the muscles of the body. Most common are effleurage (sliding or gliding) and petrissage (kneading). Is a superficial, gentle massage which is intended to assist and encourage the natural drainage of lymph, which carries waste products away from the tissues back toward the heart. It can be used as a full body treatment or just in an area of localized swelling. 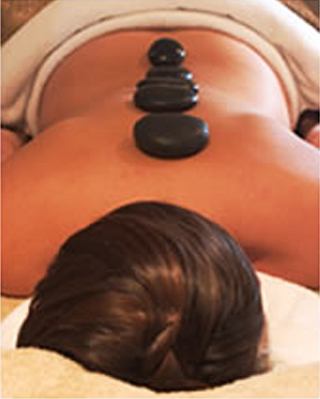 Hot stone massage is a specialty massage where the therapist uses basalt stones as an extension of their own hands to massage the body. The stones are heated in a water bath that is 120 - 150 degrees. The heat is both extremely relaxing and can help warm up tight muscles so the therapist can work more deeply into the tissues. Indie head massage is a 45 minute treatment focusing on neck, shoulders, face and scalp. It originated from Ayurveda, the ancient Indian system of medicine, and can help with • Eye Strain • Tension Headaches /Migraines • Earaches • Temporomandibular Joint (TMJ) Pain • Sinusitis congestion • Insomnia and disturbed sleep. There is a common misconception that a Deep Tissue massage is just like a swedish massage, but with more pressure. Actually, deep tissue involves the use of various techniques not used in a traditional swedish massage such as: Static pressure (trigger point therapy) passive movement (myofascial release) and muscle stripping. It is difficult to provide a "full body" deep tissue treatment in one session, so appointments would have to be focused on one area of the body. Quite often, deep tissue techniques are applied to one or two areas of focus during an otherwise relaxing, full-body, Swedish massage. This allows for a full-body treatment with focus to specific problem areas in a relatively short appointment-time. Heated hands massage is a relaxation massage done with heated soft hand-held sachets that mold and contour to the body and are soft on bones and joints. We use the Prone Pregnancy Comfort System by bodyCushion for all pregnancy massages www.bodysupport.com. It allows pregnant clients to lay face down during their massage right up until full term. Pre-natal massage can alleviate the pain and discomfort associated with pregnancy. Vitality massage therapy is registered with HCAI. Health Claims for Auto Insurance (HCAI) is an electronic system for transmitting auto insurance claim forms between insurers and health care facilities in Ontario, and is now required for all treatment provided as a result of a motor vehicle accident. Registered with Blue Cross providers and able to bill blue cross directly for RCMP and Veterans Affairs Clients. Two hour metered parking is available on MacLaren St.
We’re conveniently located in downtown Ottawa at 165 MacLaren St.